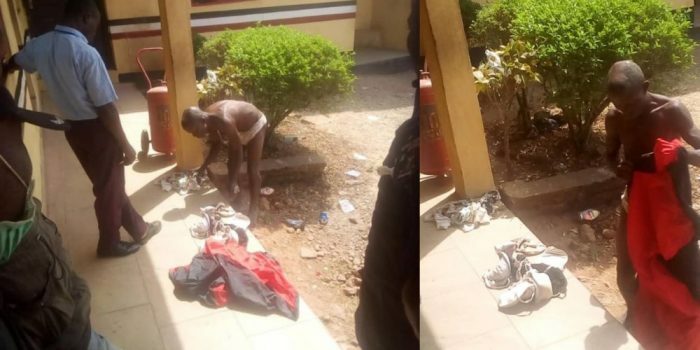 A yet-to-be identified man was today caught in with female pants, bra and soaked sanitary pad, and based on the recent trend he has been suspected of being a ritualist. The man was apprehended while picking female undies and soaked sanitary pads in Akure, Ondo state. 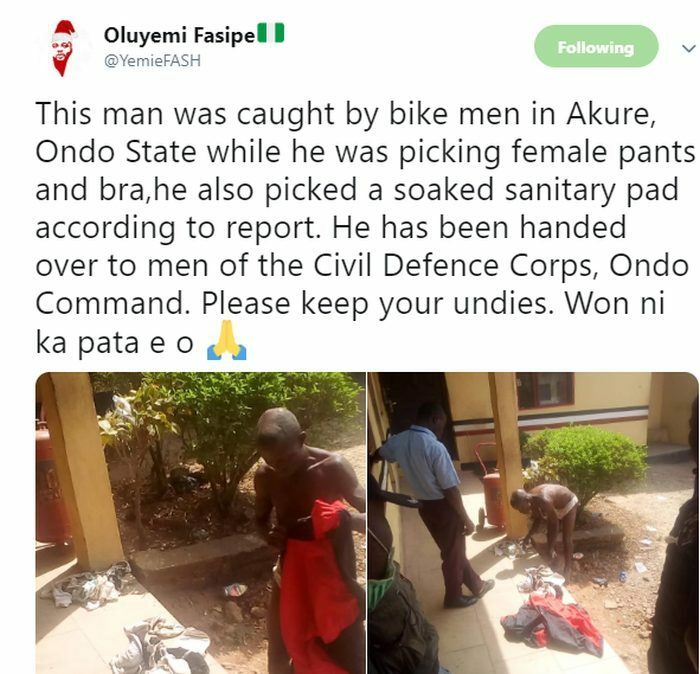 This was made known on Twitter by @YemieFASH, who said the man was apprehended by some motorcycle riders who noticed his suspicious moves.